If you’re considering opening a retail store in 2018, read this first. One of the most popular business opportunities today is in retail stores. 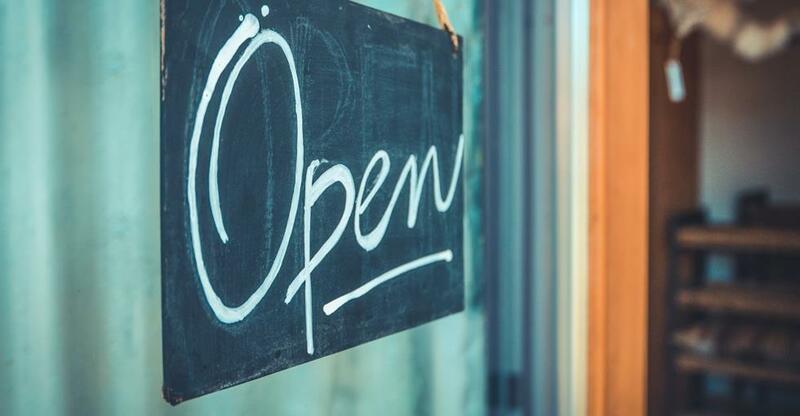 If you’re among the many people considering getting into the retail biz, have you considered whether it’s best to open a franchise or start one from scratch? The reality is that there are pros and cons to both paths. There are many factors to consider, and depending on the type of personality you have, one path to ownership may suit you better than the other. Cost: There are various costs to consider when thinking of franchising. A franchise will generally cost more than an unbranded store, but you’ll save on other costs in the long run. Depending on the type of franchise you want to buy, you’ll be paying some portion of your purchase for the cost of the name of your franchise. Chains generally come with name recognition, which can be invaluable when it comes to attracting business. Some may allow you to have a little more creative freedom, though. It’s worth researching thoroughly to find out which franchise opportunity is the best one for you. There are hundreds, if not thousands, of corporations who offer franchise opportunities, and some of them may even be international, so don’t limit your search to just opportunities within the United States. Support: What a franchise lacks in terms of individual creativity, it makes up for in corporate support. Many retail corporations offer training programs, ongoing support for franchisees, complete business plans, marketing assistance, and more. If their franchises succeed, their brand succeeds, so it behooves them to offer as much help to those running their retail franchises as possible. Not all franchise opportunities are like this, however. Some do offer a more independent opportunity, so make sure to do your research on the franchise you’d like to buy or open. It can be helpful to meet with an owner of a franchise store for the brand you’re considering in order to get some feedback from someone who has had actual ownership experience within the franchise. By doing your homework, you’ll increase your chances of finding a franchise that strikes the perfect balance for you between support, structure, and creativity. Marketing: One of the major benefits of buying or opening a retail franchise over an independent one is name recognition. This can be an invaluable asset in marketing your business. People tend to frequent established businesses where they already know what to expect and where there is history and recognition. Additionally, many retail corporations run nationwide marketing campaigns, such as commercials or radio/Internet ads. Your franchise fees often pay towards these efforts, so you’ll directly benefit from them by increasing foot traffic in your store. Overall, there are many benefits to opening a retail franchise, especially for certain types of people. If you want to focus more on the stability of income, growing your business, and day-to-day operations, a retail franchise might be a great option for you. To learn more, visit www.businessesforsale.com.